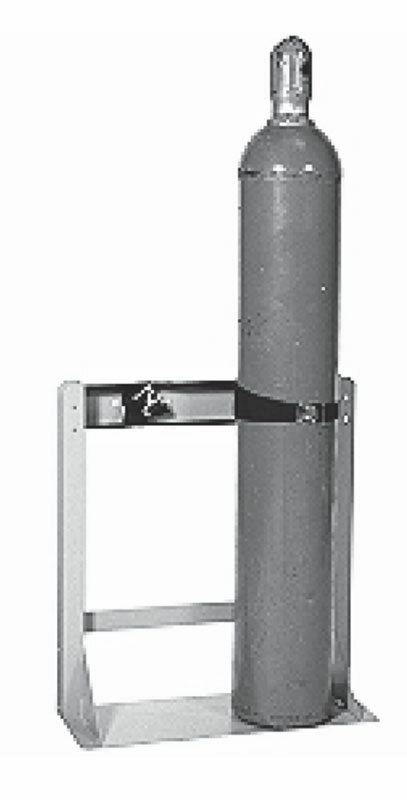 Available in two and three cylinder models, these floor stands are designed and built to provide safe storage of compressed gas cylinders with diameters up to 12" when a wall, post or bench is not available to the secure the cylinder. Fully welded construction from 11 gauge and heavier plate steel and a quality epoxy powder paint finish provide structural integrity and long service life. Surfaces coming in contact with the cylinders are protected with vinyl edge guards. 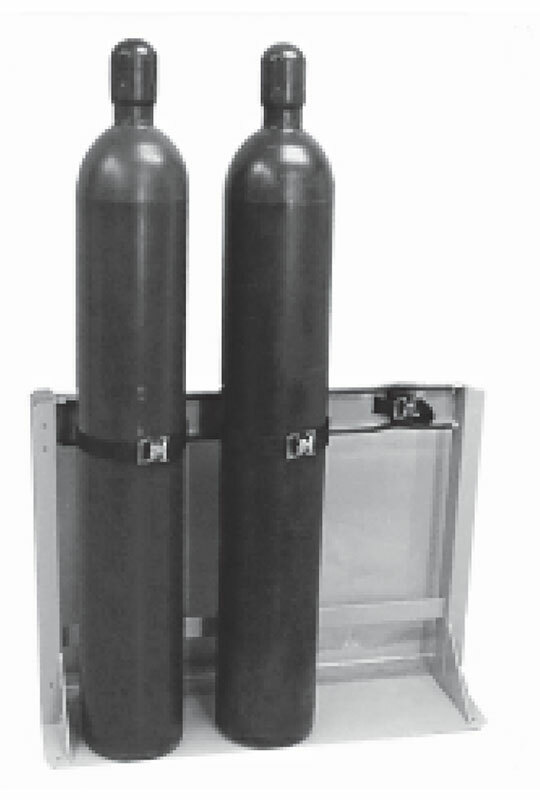 Cylinders are held securely in place with 1.5" polypropylene straps with steel cinch buckles. Shipped assembled via UPS.